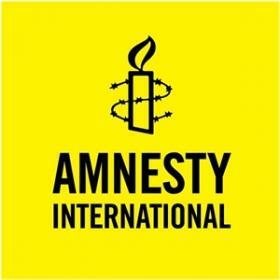 The Senior Director of Campaigns leads AIUSA's work to develop, implement and evaluate Amnesty’s priority campaigns. Each year, the organization prioritizes one or two campaigns and works to achieve significant human rights impact through activism and advocacy. This position also oversees crisis response, including short-term campaigns to stop an urgent human rights violation. Reporting to the Deputy Executive Director, the Senior Director manages a staff of campaigners, and works with other teams in the Campaigns and Membership department, alongside Amnesty members and activists, and with others in the organization to advance our campaign work. Manages the campaigns team; serves as a mentor and coach, working collaboratively with staff in planning and implementing work plans. Serves as a strategic thought partner and collaborator with other program, advocacy and membership teams. Participates in shared responsibility and collaboration with AIUSA volunteer leaders; engages internal and external constituents in activism and advocacy to support our campaigns. Works with colleagues across the Amnesty global movement to advance global campaigns and to collaborate on human rights impact. Leads team implementation of the organizational strategic plan to achieve four-year goals. Applies creativity and innovation to campaigning strategies; identifies best practices in the field of campaigning; supports testing and evaluation to improve organizational impact. Collaborates closely with other teams in the organization to develop strategies to recruit and engage members and activists and grow our supporters. Creates processes, procedures, forms and/or rules necessary for work completion, efficient workflow and/or service delivery. At least 10 years of relevant experience including experience in campaigning and in working with members and volunteers. At least five years of experience managing, three or more staff, including senior managers.